Home › Color Theory › 3 Pastel Colors you can wear this Summer! It’s that time of year folks. The rays are about to shine stronger than Prince in a star studded white diamond suit. Celebratory pulse is in the air, and what was once a dreaded winter (especially in the North East) has now morphed into the promise of warmth, tan lines and summery dresses that we (as men), can appreciate. So where do we fit in the summer attire pecking order? In yesteryear, we were confined to shorts, t-shirts and flip flops. Ray Bans and, dare I say, PBR, were about the only saving grace we had. But the new world order has noticed a subtle shift. Men care more about the way we dress, which in turn, has made us notice the colors of specific seasons, and what works best at what time of year. So cast your net wide open, reduce your over reliance on your blue colored just-about-everything, and introduce these three colors that will give your wardrobe a lift, a new perspective, and an injection of much needed life. Before I delve into the three colors, I think it is imperative to reiterate what was stated in our transitioning from winter to spring article, which is: As soon as its officially summer, it’s time to migrate from your thicker materials such as wool, tweed and corduroy, and move to lighter, more breathable materials such as linen, cotton, and seersucker. So what colors should we be considering? While Fall Color Greens are of al darker shade and resemble olive, lighter greens are best suited for the spring and summer. A lightweight pastel green is what you need and allows you to complement the relaxed vibe of the spring and summer months. For a more casual look, such as a summer beach wedding, a pink shirt will complement a green tie and a grey suit, allowing for a relaxed look. For a look that is relaxed but can pass off as formal, a light green shirt with a grey suit and a navy blue tie would allow you to get the job done! After Green, an investment in a yellow / light yellow shirt or accessories will reap rewards! A yellow tie with a blue shirt can look extremely crisp in the summer, as can combinations with more neutral colors such as grey or brown. 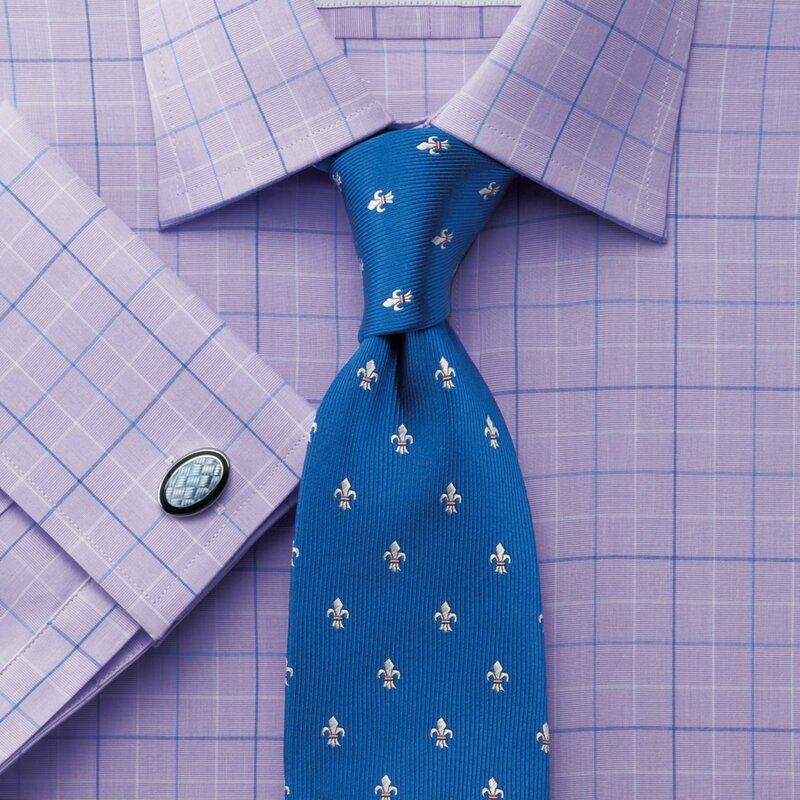 For those of you that dare to be slightly more bold, a lilac colored shirt or accessory can give you a relaxed, airy feel during the spring and summer months. For a relaxed look at work, try pairing a lilac shirt with a royal blue tie, and in the evenings, strut a lilac shirt (without a tie) with a casual lighter grey suit! Check out some of our favorite pastel colored ties for the Spring and Summer at The Dark Knot! ‹ Watch out BuzzFeed! 25 items to look out for in the Perfect Suit!